My filmmaking started in high school with A/V club; trying to get out of class to film anything. I soon found a passion for directing actors, and playing in front of the camera myself. I took a directing class at the New York Film Academy and never left that storyteller mindset. I graduated Rochester Institute of Technology’s school of Film & Animation in 2010 with a few films under my belt, and a mind full of existential philosophy. It wasn’t until I reached Seattle and began creating with the art collective that would become CTPAK Records, that I found a deep appreciation for live music and began the project CTPAK Film Crew, which is now Blazinspace. I started to VJ in 2014 as a means of cutting a music video live in front of an audience. I started to collaborate with phenomenal musicians like Screens, The Spider Ferns, IVVY, Patrick Galactic and Afrocop. 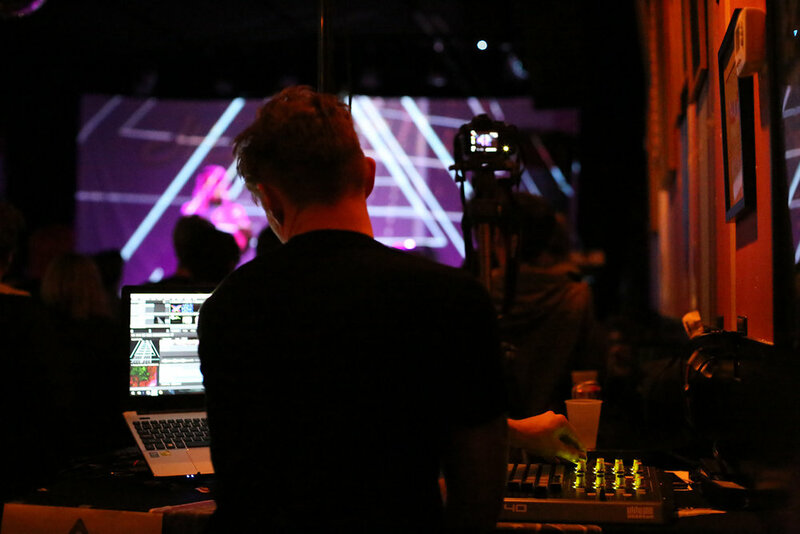 Creating Live Visuals, or “Video Jockey-ing” is one of my favorite things to do. I love entering new venues and spaces; problem solving to make it work, and using projection mapping to elevate the space. My visuals have been featured in Band in Seattle, Sounds of Generation (Chicago), the Black Lodge (LA), with IVVY (NYC, Boston), Capitol Hill Block Party, Bumbershoot, Upstream, NW Psych Fest and Kremfest.